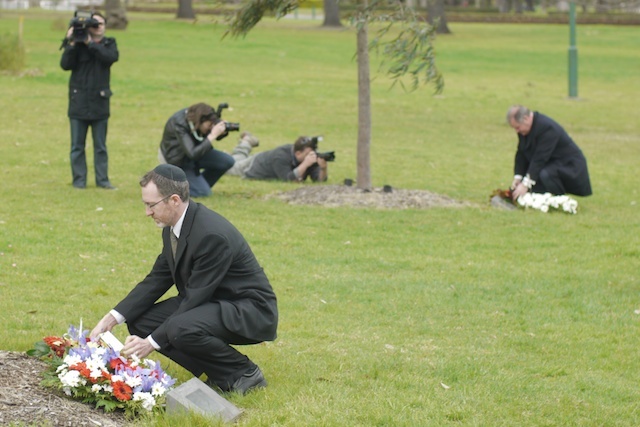 On this tenth anniversary of the deplorable attacks on September 11, 2001, the Jewish Christian Muslim Association of Australia remembers and mourns the loss of innocent life and condemns the use of religion to justify these attacks as legitimate acts. We are mindful of the thousands of people who have lost loved ones and recognise that this time may evoke painful memories. We also mourn the loss of life in the wars and violence which followed from the September 11 attack. We, the members of JCMA, resolve to strengthen our long-standing commitment to work towards peace and harmony in Australia. We express this resolve by signing the Community Accord (link below) at the September 11 Memorial in the Kings Domain, Melbourne. We encourage others to use this time to also consider their commitment to this accord, and reflect that the tie that binds us is our common humanity. At this time, we wish to reiterate the consistent condemnations of extremism that have been made by our peak faith bodies, the Jewish Community Council of Victoria, the Victorian Council of Churches, and the Islamic Council of Victoria.